Be on time for your schedule lessons and appointment. Hours of operation are 9 a.m to 7 p.m Tuesday to Sunday unless otherwise arranged. Monday by appointment only. Children 10 and under are required to wear a helmet. Above that age, riders who choose to wear no helmet do so at their own risk. All boarding and training clients agree to give 30 days’ written notice of intent to leave the barn. All training clients receive one lesson per week at no additional charge. Lessons can be given by any TMPH Trainers. Lessons are not cumulative, if the lesson is not taken during the week it will not be available the next week. Boarding - $550 per month and is due on the 1st of the month. Training - $1,100 per month, includes board, one lesson per week and is due on the 1st of the month. Any additional lessons are billed at $75/hour. Lessons - $100 for non TMPH training clients. $75 for all TMPH training clients. Show expenses incurred by TMPH will be split between customers. Includes, but not limited to: TMPH lodging, tack rooms, and other costs associated with showing (porta cools for example). Lodging - RV is $100/night, Horse Trailer = cost of show hook up fee. Clients are responsible for all of their own fees incurred at the show, by the show. This includes, but is not limited to, show stalls, entry fees, paid warm ups and shavings. 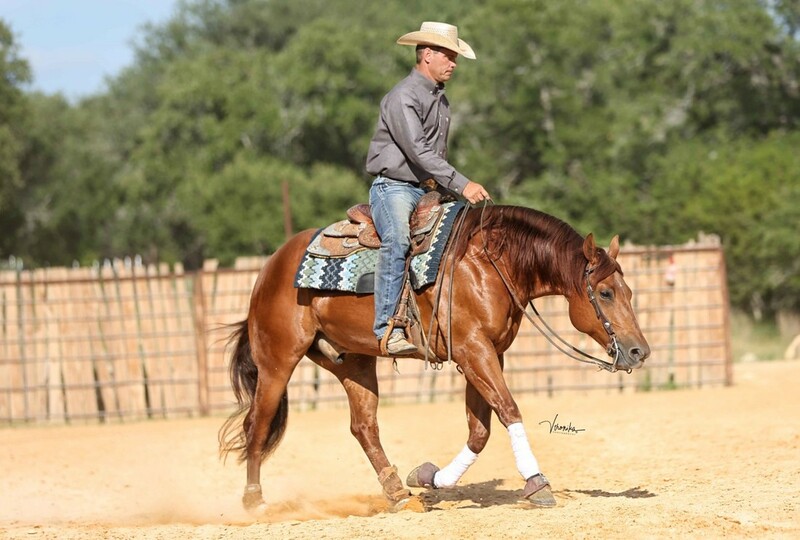 Todd Martin Performance Horses offers a comprehensive training program that can be tailor made to suit your needs. We work with the non pro, the breeder and the recreational rider. We encourage you to come out and see our facility, look at the horses and watch us train for awhile. You should get a feel for our program before you make the commitment. It is our desire to help you and your horse compete at the level you are comfortable with. The beauty of the NRHA is that it provides a level for all to compete at their skill level and comfort level. There are classes offered all the way from Green as Grass rider to the experienced Non-Pro. Part of your training cost include a free lesson each week. If you are in the area we would encourage you to come and ride more often to practice what you are learning. We can offer a comprehensive program to breeders. Taumi has a background in advertising, marketing and sales, you combine that with Todd’s knowledge of the horse industry and you have a great combination. We can help direct your marketing and advertising where we think is most effective as well as help with your breeding program and crosses. We want to help you market and sale your offspring as well as promote them in the show-pen. We love starting, training, finding and showing futurity horses. Our feeling on a true futurity prospect is that they are the special young horse with raw talent that does not have to be pushed. They are the exceptional athlete that would go to waste if not challenged, crave learning and have the ability to match. We are always on the look out for the exceptional one. People often think that since we specialize in the sport of reining that we would not help a pleasure or recreational rider and horse. It is important to understand that reining training translates to any discipline, it is the complete training package. Your horse benefits from gaining the training and understanding while you become a better horseman. All horses deserve an education and an owner who understands. I start these horses in its two year old year. We train these young horses at their pace not yours. It is important to understand that all horses come along at different speeds. So 90 days on one horse can be totally different than 90 days on another horse. We offer lessons to riders of all skill levels from the complete beginner to the experienced equestrian. You are welcome to lesson on our horse or haul in your own horse. Lessons are $75, and they typically last for an hour. We offer a select few positions for boarding clients. Board horses will have full care in a 12 x 12 stall. Our barn amenities include a 150 x 200 arena, , 40 ft covered round pen, 12 x 12 stalls, quality bedding, quality feed program, stalls picked daily, wash racks, fly control misting system, 24 hour on-site staff, excellent instruction and training available. We are a family run operation offering a Christian, family atmosphere. Boarding fee is $550 per month, due on the first day of each month. Supplements and additional feed will be fed at an additional charge. New boarders, please complete these forms.